This is a free event that is usually held in the first weekend of October and focuses on the history of Native Americans using acorns as a food source as well as techniques for storing and processing these nuts for use in contemporary households. Selma Center, 18255 Redwood Highway about 20 miles south of Grants Pass. Acorns have been important among many diverse cultures across the world because they are abundant, easily stored for long periods of time, and are high in nutrition. Acorns are a source of protein and vitamin C and they are high in magnesium, calcium, and phosphorus. They have a nutty taste that goes well with many foods. There are many species of oaks and all acorns, the fruits of the oaks (Quercus species) and Tanoaks (Lithocarpus densiflorus), are edible. Despite their initial bitterness, acorns have been used as a food by humans almost everywhere oaks grow. Acorns have been important in human history through much of the temperate zone of the northern Hemisphere including Europe, the Mediterranean, North Africa, Mid East, Asia and North America. Acorns were perhaps nowhere more important than in California and southwestern Oregon where acorns made up half of the diet for many of the tribes of this region. Acorns are still eaten regularly in Korea and North Africa, and they remain important to the culture of the people in parts of Spain. Among many tribes in California and Oregon, acorns are featured to this day in feasts of cultural significance. So how does this bitter fruit become a delectable food? The bitterness of an acorn comes from tannins. Tannin is a natural substance found in many plants; it is tannins which make your mouth pucker when drinking red wine or a strong cup of black tea. Tannins are water soluble and so they are easily leached out of the acorns using water until they are no longer bitter. Tannins may require a little work to remove but they are also the very reason acorns store so well. Therefore in many cultures acorns are stored for years in the shell, and only leached as needed. 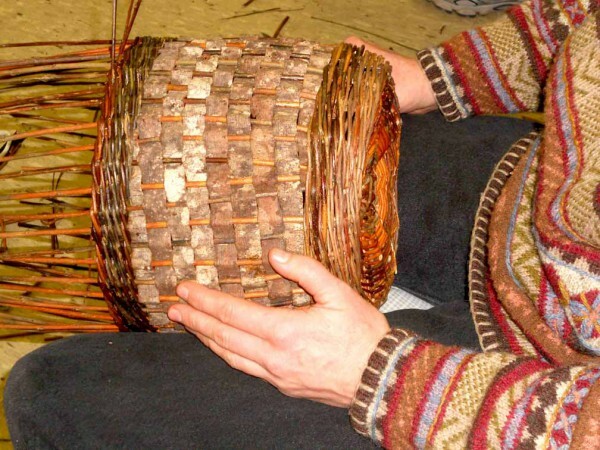 In past years, the event has included a class on basket weaving. These are conducted by the well known basket weaver and anthropologist Margaret Mathewson. 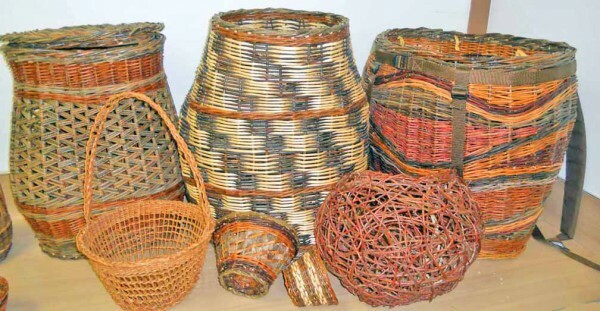 Margaret is knowledgeable in a wide variety of basketry styles and techniques from around the world and maintains a basketry garden at her home, where she grows many types of willows and other basketry plants. For more information contact: Suzanne Vautier at 541 291-8860 or visit CEEN on Facebook.